Here is my final glittered For All Things card. Now I'm not usually a fussy-cutter, but I decided I could handle a little bit of cutting to get some 3-D ferns and acorns on this card. It gave it the pop that it needed to bring it to life. And, as long as you don't try to cut around every little leaf it isn't even to hard (and since I'm saying that you know it's got to be true!). Once again I paired the Hello You thinlits with the sentiments from the For All Things stamp set. They both look like curvy flowing handwriting, and the size difference really makes the message jump out. And with that you're done! 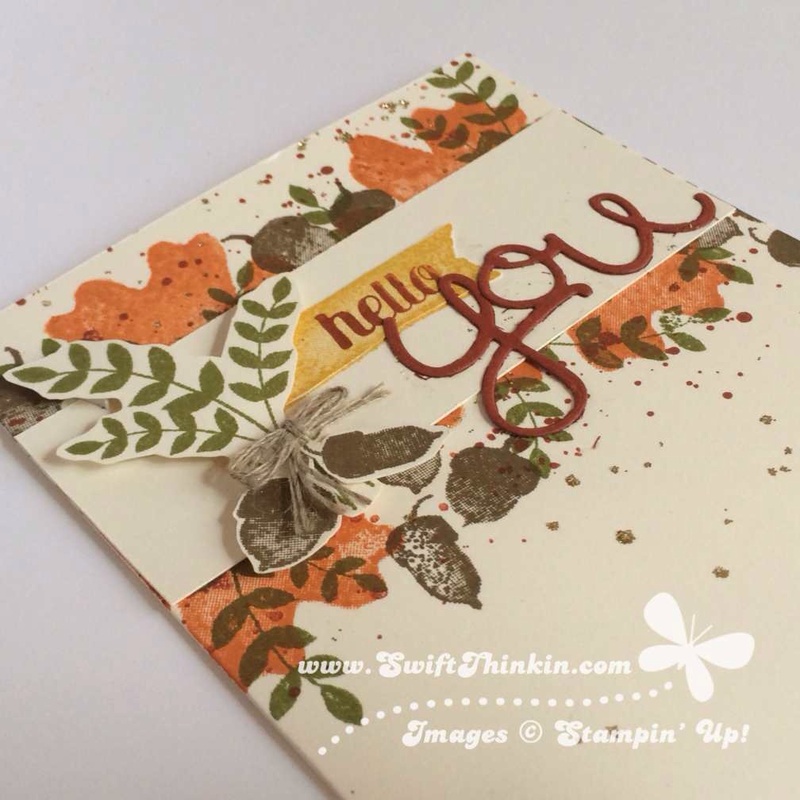 Beautiful, messy, sparkled splats on your card.